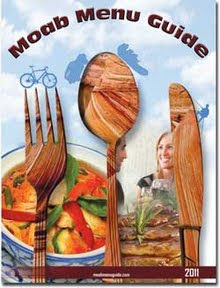 Food Adventures of a Comfort Cook: Patio Drive-In Wins First Place in Southeastern Utah. 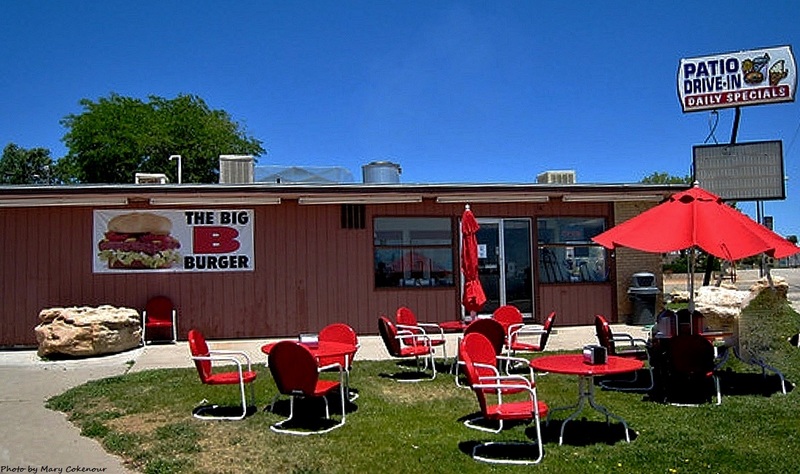 Patio Drive-In Wins First Place in Southeastern Utah. Patio Drive-In is open only six days a week (currently 10:30am to 9pm); they're closed on Sundays which is a big disadvantage to them during tourist season, and a large disappointment to locals and tourists alike. Whether you eat in, sit outside at one of their patio tables, or take a "to-go" meal to enjoy elsewhere; the menu will have something you'll enjoy. Three of us went there after the lunch rush and our meals only took about 15 minutes to get to us; piping hot and looking awesomely delicious. When Patio Drive-In is busy, allow at least 30 minutes to get your meal; yes! they get that busy and remember, the food is made fresh. You can always call their number, place an order and then pick it up if you don't want to wait. The burgers are large, thick, nicely seasoned, juicy and delicious. While you can order a burger or sandwich by itself, your best bet is the basket which comes with French fries and a drink. The fries are crispy on the outside, fluffy on the inside and lightly salted, so that potato taste comes through clear. Of course you'll get a little container of "fry sauce"; it's a Utah thing and you have to try it out. Like Philly Cheese Steak, then try out the Chicken Philly. This is not pressed, thin sheets of chicken; it's chunks of grilled chicken with strips of green bell pepper and red onion. The cheese is melted onto the toasted roll with the chicken and veggies piled on top. It is slightly salty, but it brings all the flavors of the other ingredients together so well. This is one of my favorites from Patio, and I'm hard pressed to choose anything else when I go there. Last, but certainly not least, the Grilled Ham and Cheese; served between slices of thick, toasted bread with a nice serving of ham that gives you full flavor without overpowering the cheese. This is an adult grilled cheese that even a child would enjoy. 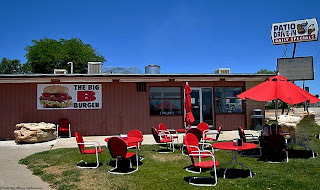 Whether you're on your way to a park or historical site, and need a picnic meal; looking for a lunch or dinner and live in the area; looking for great, old fashioned "drive-in" food, then Patio Drive-In is the place you're looking for when in the Blanding, Utah area.